After a day of insights from online video experts and a night of entertainment from VidCon’s featured creators, it was back to the industry track. The day began with inspiration from Bounce Control Creative Director, Shannon Jones saying “make what is fun to make”. Mainstream media was also put under the spotlight with industry leaders agreeing that online video provides a unique opportunity for niche content not available regularly on television to be created. Although online video offered greater freedoms than conventional media, the majority of industry leaders concurred that creators were still “at the mercy of the YouTube algorithm”, with the need to understand your audience being fundamental to growing a community around a channel. Behind most major channels is a team that helps the creator “bring the audience on the shared journey with the YouTube”. Smosh co-creator Ian Hecox says that being “as transparent as possible with the people behind us” boosts everyone’s publicity, which was the general sentiment among many creators at VidCon who repeated that “communities online are smart”. On being asked about being a full time YouTuber, Dolan from Planet Dolan urges aspiring creators to “diversity your source of income – don’t just rely on YouTube”. Changing pace a little at VidCon after lunch on day 2, Instagram’s Jackson Williams explained how the photo sharing platform could be mastered for “growing community engagement”. Despite new Instagram features such as Stories being all the rage, “content still matters” over anything else said Williams. Snapchat and Musical.ly star Rasmus Kolbe declared that “being a designer means solving problems” and that brands often seek collaboration with influencers to address their lack of audience reach. The monetisation of film and television content onto digital platforms was also a major focal point for industry leaders at VidCon in a panel featuring 113 Partner’s Ian Murray, Karma Media’s Erik Pence, Youtube Support – Valleyarm Digital’s Sam Menhennet, Dailymotion’s Antoine Nazaret and Dream VR’s Jonny Peters. “Protecting your content through content ID is a must” said Nazaret and treating your “audience as inventory” said Pence was a key part of developing success with multi-channel networks. However the overall themes from VidCon is that online video is centred about good story telling and producing content “to be tailored for each platform”, said NZME Content Marketing & Experiential General Manager Cassie Roma. “Telling really good stories sometimes [requires] being old school”, says Roma. Continuing in the theme of creative storytelling was GTLive’s Matthew and Stephanie Patrick in sharing how live streaming is one of the most valuable community engagement mediums. “It’s real and live” says Matthew Patrick who has also taken advantage of live streaming to create extra notifications on social media prior to the uploading of regular content. So that wraps up my first time at VidCon. 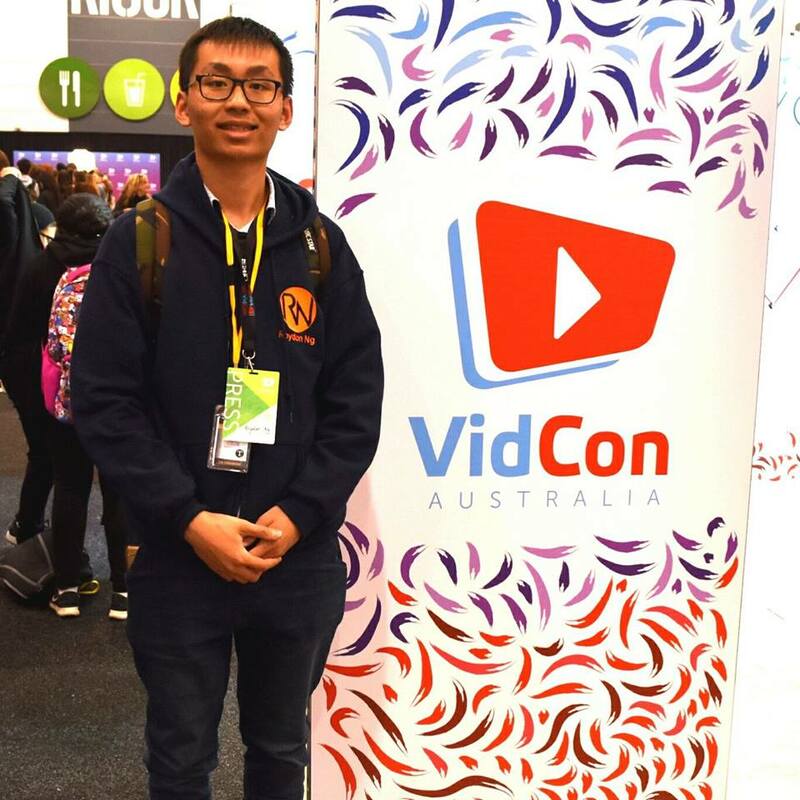 Thank you VidCon Australia for press access to this event.